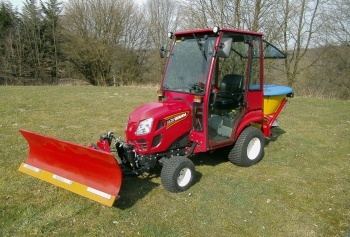 The SX26 is a hydrostatically driven subcompact tractor. Equipped with a 26 hp Shibaura 3-cylinder diesel engine. Central and rear power take-off and a 3-point lifting device, safety bracket, very large driver platform and lighting are standard. The SX26 combines the strength and versatility of the compact tractor with the manoeuvrability and ease of use of a garden and lawn tractor. 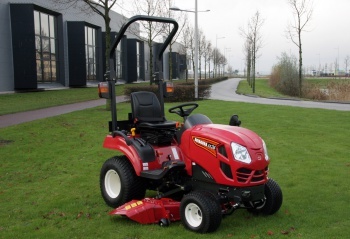 Since it is very easy to extend this machine with accessories, such as midmount mower, frontlift, front power take-off, grass collector, cabin, front loader and snow sweeper, this subcompact tractor is suitable for many applications.